One Palmerston North investor lives and breathes property which has brought him both success and security – and now he is sharing his story. Residential property, commercial property and a property business – Greg Watson has Palmerston North covered when it comes to real estate. Born and bred in the Manawatu, he loves his city and he knows it well. “I’ve lived in Palmerston North most of my life, I call it home and we love the lifestyle,” Watson says. “It’s a great place to live and a great place to raise a family. Watson – who is profiled in this month’s issue of NZ Property Investor magazine - wasn’t looking for a job in property when the opportunity presented itself. 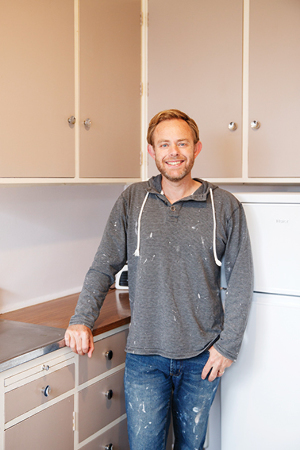 In 1996, his father Ken, a former banker, and his brother Marcus, thought the time was right to start a real estate company in Palmerston North and asked Watson if he’d like to be involved. It was too good an offer to pass up, he says, and once Watson Integrity got off the ground he took over the property management side of the business. The profits from the company were initially invested back into growing the business, but by the early 2000s the three Watsons decided to put their money directly into the property market. Together they bought a pair of two-bedroom stucco-clad units for around $80,000 each, spending a small amount of money to tidy them up. By 2004, they’d increased in value enough to allow the three Watsons to buy another two units, each for $95,500, and a three-bedroom house. A few years ago, they sold the five properties to buy the commercial property Watson Integrity is in. And now Watson and his wife are focused on expanding their own rental portfolio. “When you’ve got property, your options are widespread,” he says. To read more about Watson’s property journey – along with his six top tips - click here to get the digital issue of NZ Property Investor magazine.